It is difficult sometimes to transport desserts. But cook or create them in these jelly jars and you have a totally portable and delicious dessert in one. You can find the regular mouth 4 oz. jars in Walmart, Target, etc. I use them in making my Strawberry Lemonade Marmalade for personal use and perfect small gifts. The cheesecake recipe below is baked. 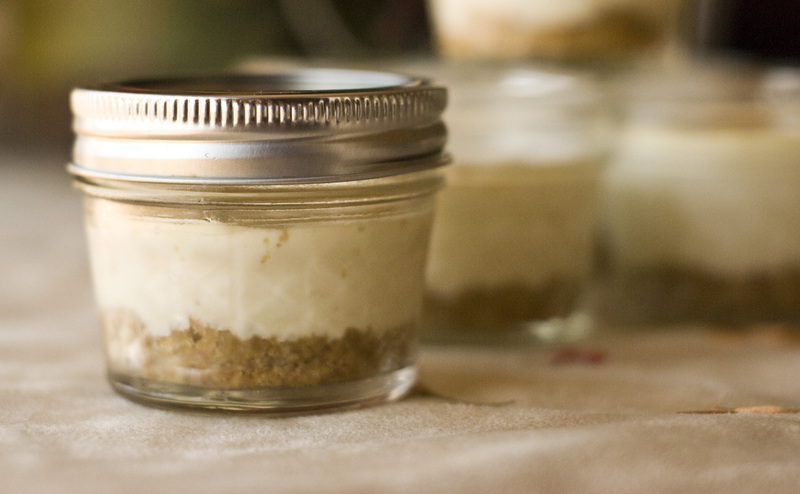 I think this recipe would be equally awesome and perhaps even more simple with a no-bake cheesecake recipe. Or ready made filling mixed with some lemon zest perhaps? 2 – 8oz. packages of cream cheese, room temp. Optional toppings: mini chocolate chips, caramel, cherry pie filling, etc. 2. Spray jars with cooking spray. Have a large pan ready that can hold all of the jelly jars plus water to go at least half-way up the jars. 3. In small bowl, mix the graham cracker crumbs, sugar and melted butter. Pour 1 heaping tablespoonful into each jar. Push this down into a crust using a wooden mini tart shaper or something like that. Or use your fingers. 4. In a large mixing bowl, beat the cream cheese and sugar on medium with an electric mixer until smooth and creamy. Add eggs one at a time until each is fully incorporated. Mix in the sour cream, vanilla and lemon zest. Do not overmix as with any cheesecake. 5. 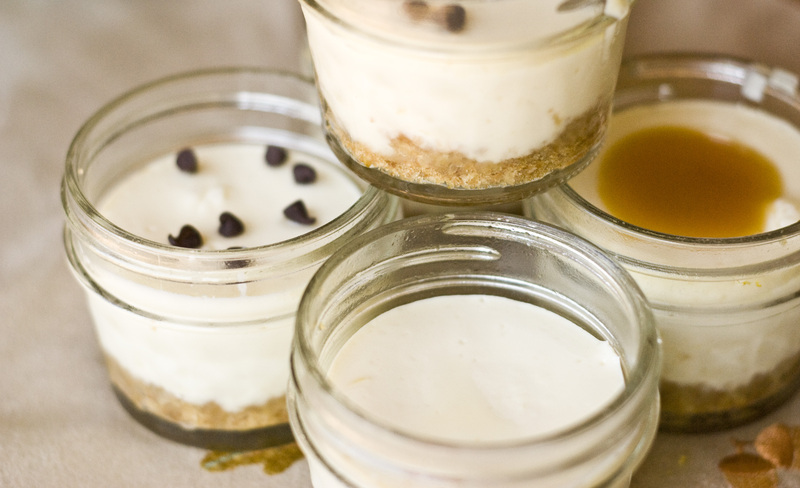 Fill the jars with 1/3 cup of cheesecake mixture. 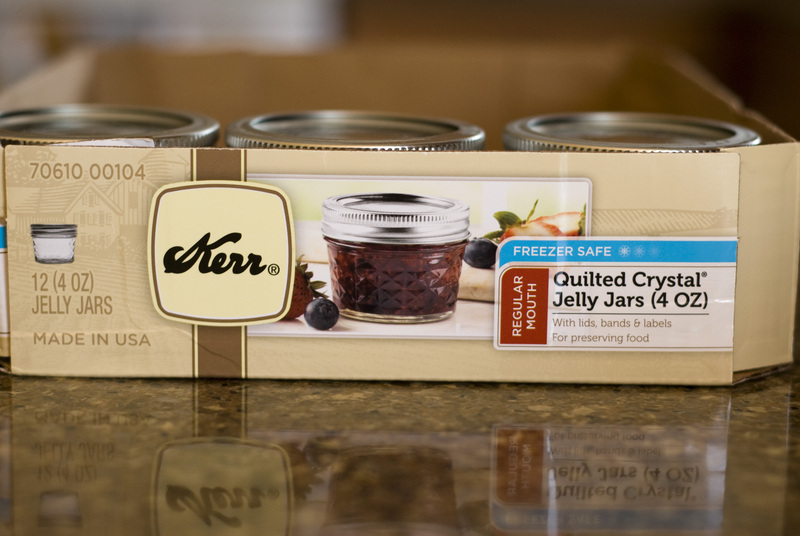 Place jars in a large shallow pan that is at least 2″ deep. Fill the large shallow pan with hot water so they cover up to half of the jelly jars. 6. Carefully, place each jar into the water filled pan and place pan into the oven. Bake 30 minutes. 7. Remove each jar with tongs or canning tongs and place the jars onto a wire rack to completely cool.